Check out this Diamond in the Rough. 2012 Ram 1500 Regular Cab 2wd with ONLY 29k miles!!! This truck has a Clean Carfax and is equipped with a 5.7L HEMI V8 engine and dual exhaust that makes people turn their heads. 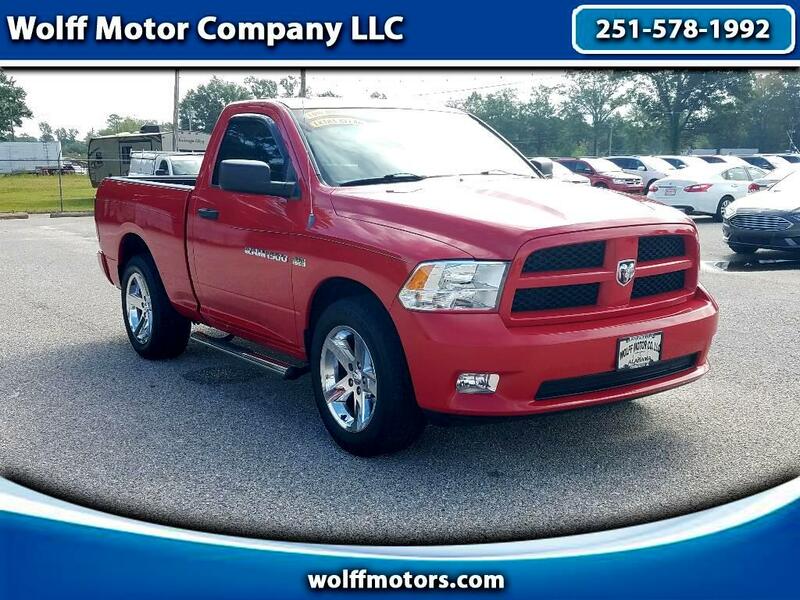 With flame red exterior paint with chrome plated 20inch wheels and chrome step bars, this truck is not to be missed. Give one of our Sales Professionals a call Today at 251-578-1992.